Los Angeles-based 19-year-old singer, songwriter and dancer Mia Mormino has just unveiled her brand new single Standing Still. I am really enjoying the tone of her vocals and how they perfectly convey the emotion of the lyrics. I am also enjoying the groovy beat and delicate piano keys that enhance the emotion of the song. The strings give the song somewhat of an ethnic vibe that is quite appealing! 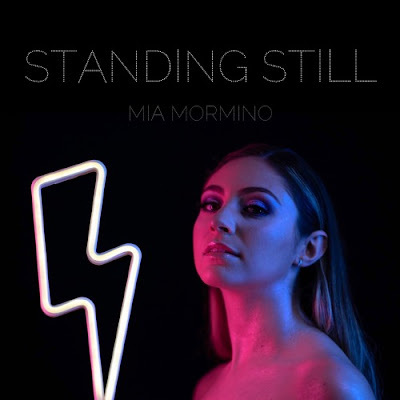 Mia delivers here an infectious piece of electro-pop music on which she showcases her vocal abilities and songwriting skills. Stream this lovely track below! This song is about my strenuous journey of missing one of my best girlfriends who, for a while, was no longer apart of my life. We had such a strong connection and understood each other on levels that were truly indescribable. She was the silliest, most caring, loving person I had ever met and not having her in my life was the hardest breakup I had ever experienced. This song captures a few of the many special connections we had, and is basically a time line of how our breakup made me feel. I’m so beyond grateful to say that she is now back in my life, and I couldn’t feel more lucky. We always knew we had a unique relationship and our reconnection really solidified just how important we are to each other. I love this girl with all of my heart, so this one is for her!